This summer has been incredibly busy for us at Little L’s. After personally testing hundreds of batches of freshly baked krak’ems for months, we finally decided to take a little break and head to the country for a much deserved rest. 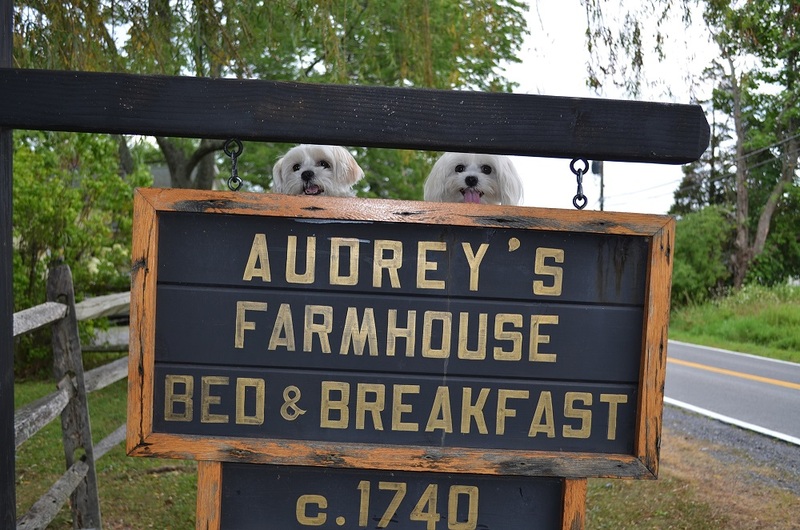 Choosing our destination was easy: we have heard so many great things about Audrey’s Farmhouse, the most dog friendly B&B on the Northeast coast that we decided to check it out ourselves. Of course, we brought our human parents along with us, just for fun. Built in 1740, Audrey’s farmhouse stands on over one hundred of acres of meadows at the foot of Shawangunk Mountains. It is a great destination for those who need to escape the busy stressful city life and find a solitude in a rustic, country ambiance without sacrificing comfort and fine taste. 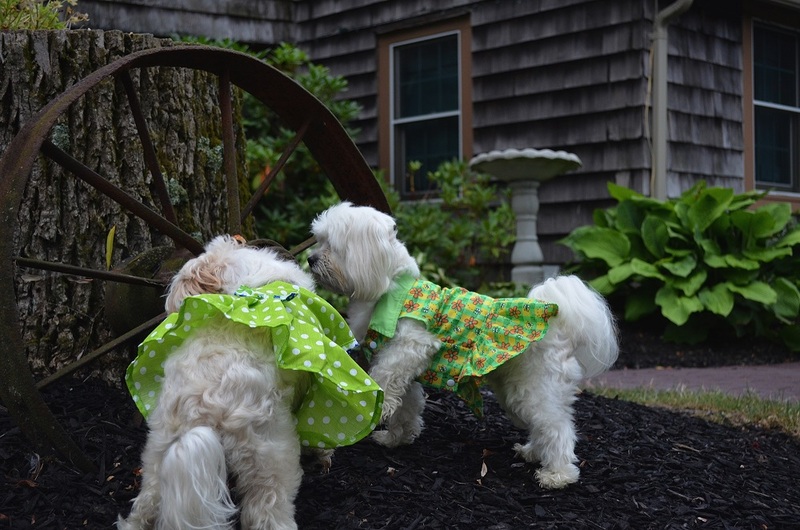 It is especially popular among the affluent dog parents who would like to come to Hudson Valley for hiking, camping, wine and food tasting, or simply relaxing, and bring their furry children with them. NYC dog runs can not compare to specious fields of Audrey’s farmhouse! Never mind the feather beds, gourmet 5-course breakfasts prepared by chefs from the famous Culinary Institute of America and served on china and silver, air conditioned rooms, outdoor swimming pool and jacuzzi, flowers in every room and freshly baked scones and pastries always on the kitchen table! All these perks fade in comparison with Audrey’s pawsome off-leash policy and almost royal treatment of their furry guests. While there, we were allowed to roam the house, sit on the sofas and chairs in the living room, eats breakfast with our parents on the lawn, and sleep on human beds! We met new doggy friends (hello Chloe and Muggsy! 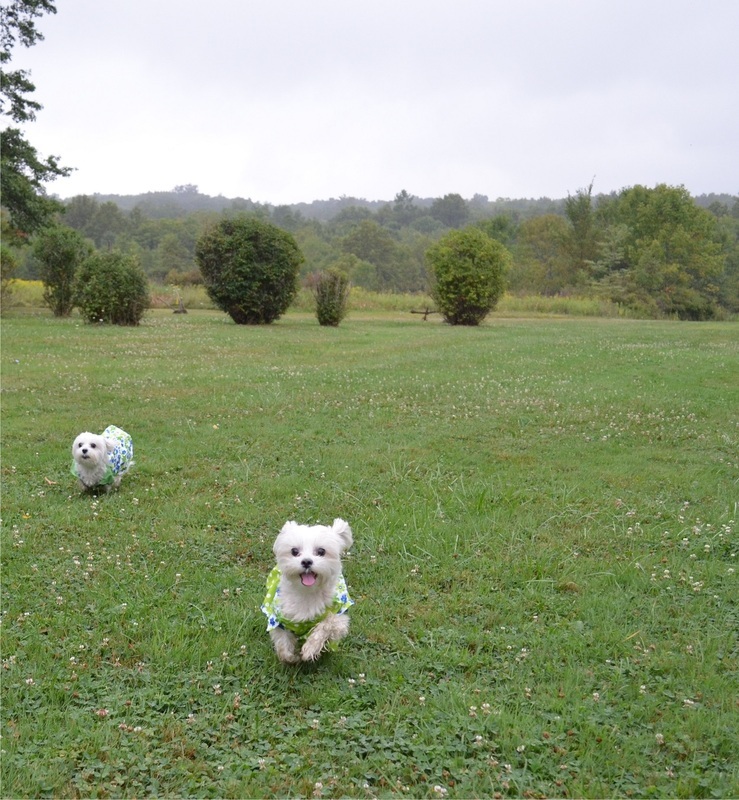 ), chased each other on the meadows, swung in the hammock, and sniffed every nook and cranny in the house. The honorable mention goes to The Bruynswick Inn restaurant and its bartender LeeAnn. Not only do they have excellent food and great selection of domestic and foreign wines, they are also very dog friendly and kindly allowed us eat inside with our parents. For parents with larger dogs, tables are available outdoors. If you are going to dine there with your furry munchkin, order “chicken for children” (just mention that it is for your doggy). Dogs Rule in Audrey’s Farmhouse! Alas, our vacation was too short, and we did not get to do many other things, including an awesome tour of local wineries (Audrey’s staff can arrange transportation and doggies are welcome to come along), visit to Culinary Institute of America (just a few minutes away), and hiking (some trails start right on the property!) That is an excellent reason to come back there again! 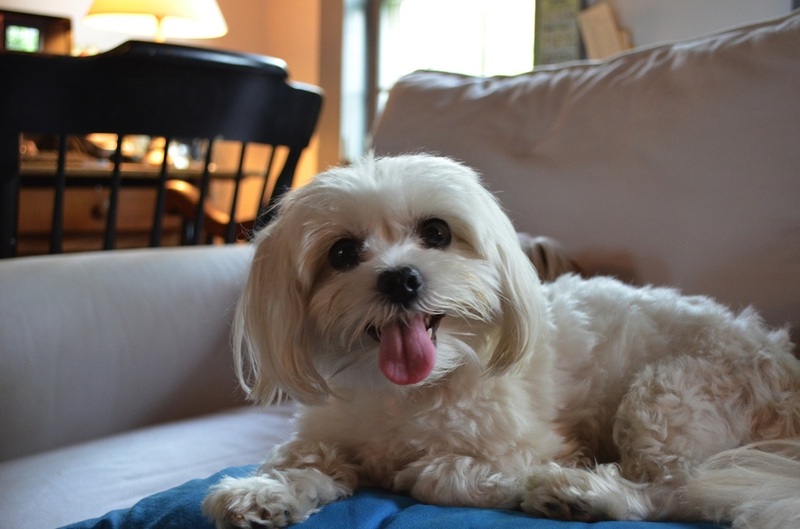 PS for those who does not like to drive, the easiest way to get there is to take Metro-North (one of a few dog friendly railroads in the US) to Poughkeepsie (about 1.5 hour trip), and then cab to Audrey’s Farmhouse (about 30 min ride). Mention Little L’s and ask for the free samples of our treats when you get there! Tired of running and sniffing fresh grass? You can chill in the living room and smell the aroma of farmhouse’s chef preparing dinner! So many things to sniff and explore!! 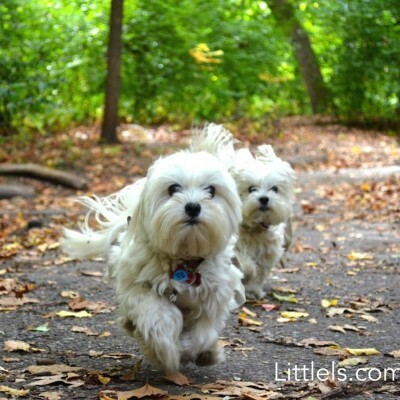 We are Lilly and Lulu, two Maltese-Shih Tzu sisters living in uptown Manhattan with our parents. 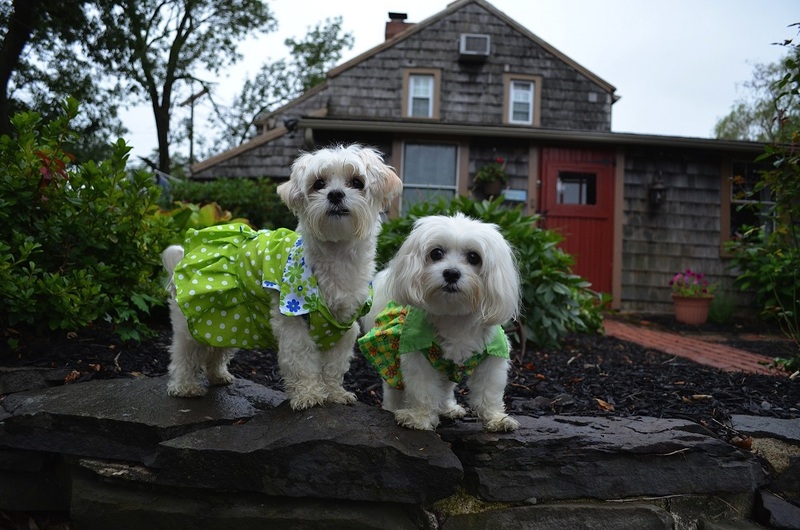 In spare time, we love to explore New York City, travel, model, support charitable causes, meet new friends, and do countless other things that NYC offers to doggies and dog parents.